Many wireless industry workers in office management and construction-related positions earning more than $455 per week who were exempt from overtime pay, were assured of an increase in their paycheck beginning Dec. 1, 2016 when a new federal regulation kicked in. But two days before Thanksgiving, a time when workers can enjoy their blessings and look forward to what appeared to be for many a guaranteed increase in pay the following week, a federal judge in Texas issued a nationwide injunction against the Obama administration’s new rule that made them eligible for time-and-a-half pay – or a considerable increase in their weekly salary – as much as $24,232 – to maintain their exempt status. The new rule had increased the minimum salary level for exempt employees from $455 per week ($23,660 annually) to $921 per week ($47,892 annually). The salary threshold was set to be updated every three years under the law, meaning it would jump to $51,000 by Jan. 1, 2020. Directing the work of two or more employees is the most often-abused requirement used by employers to exempt an employee for overtime. 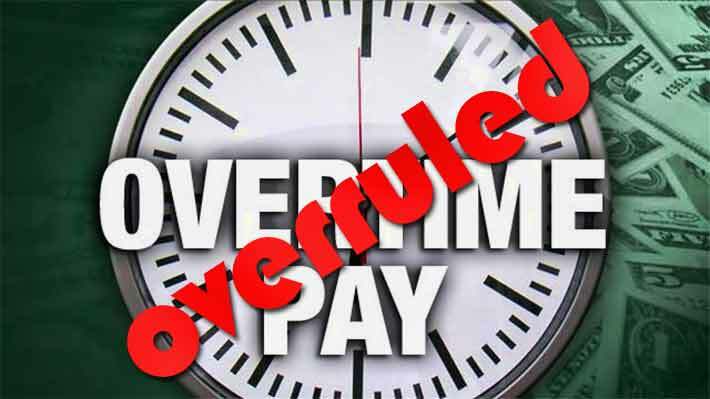 In 2014, President Obama set in motion the new rule to “modernize and streamline the existing overtime regulations for executive, administrative, and professional employees.” The final rule was published on May 23, 2016. Yesterday’s injunction against the rule, stating that the Obama administration had exceeded its authority, was praised by business groups who maintained that the new rules would be costly and result in fewer hours for workers. “We strongly disagree with the decision by the court, which has the effect of delaying a fair day’s pay for a long day’s work for millions of hardworking Americans,” the labor department said in a statement. The injunction is a temporary measure until Judge Amos L. Mazzant lll can issue a formal ruling, but according to legal scholars, the judge’s language indicated he was likely to strike down the regulation. The DoL could appeal the ruling, which might end up at the U.S. Supreme Court. The new rule could have seen some employers converting salaried employees to hourly workers, in some cases cutting their base pay to offset the overtime expense. According to the U.S. Wage and Hour Division (WHD), exemptions do not apply to manual laborers or other “blue collar” workers who perform work involving repetitive operations with their hands, physical skill and energy such as construction workers. When the WHD asked for public comments on their proposed rule they received 293,394. An overwhelming majority of trade organizations strongly opposed the changes. 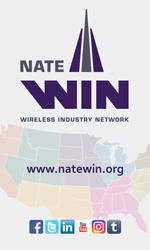 Wireless industry organizations were noticeably absent in addressing the rulemaking. The Associated General Contractors of America (AGC) had been in opposition of the rule, stating that the proposed salary increase was too much to absorb at once and the threshold did not take into account lower wage regions of the country. The trade group also said that construction employers would be forced to take drastic measures to comply with the rule. 74% would likely reclassify some or all of the impacted exempt workers to non-exempt hourly status at their current salaries. 60% expect the rule to result in the institution of policies and practices to ensure that affected employees do not work over 40 hours a week. 23% expect to exchange some full-time positions for more part-time positions. In September, wireless turfing contractor Goodman Networks Inc. agreed to pay $2 million to former construction managers who claimed the company should have paid them overtime pay, but misclassified them as exempt employees. The lawsuit said the construction managers were not exempt employees because their routine inspection duties did not require significant discretion or independent judgment. The current minimum salary level of $455 per week required to be exempt translates to $23,660 per year. This level was established in 2004, and represented a significant increase from the $155 per week ($8,060 per year) minimum that had been the standard for the preceding 30 years.